IoT in healthcare has more benefits than one can imagine. The application of IoT in healthcare can improve the way things work in the medical world. From improved machine control to virtual medical assistance, IoT applications in healthcare is the future. It can save the lives of patients with a fast diagnosis of diseases as well as finding an apt cure for it. But the application of IoT does not come without challenges. IoT in healthcare has its own challenges and limitations which can affect the usage of the technology. With IoT healthcare devices in the hospitals, it may become a difficult job to keep all of them connected to each other. Security of IoT healthcare solutions is also a major concern. 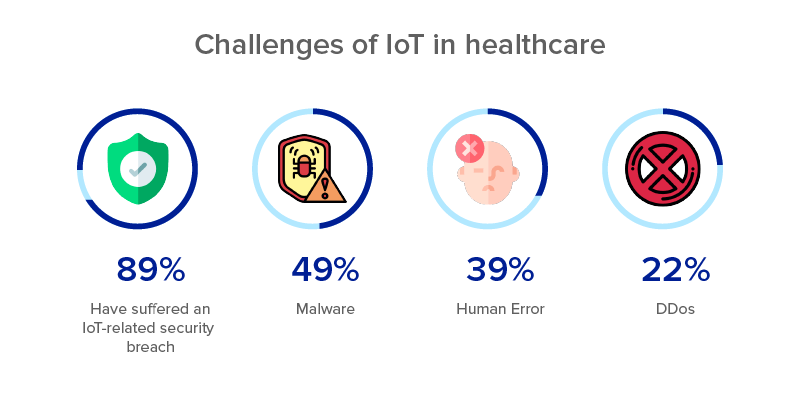 The challenges, of course, can be overcome with the right strategies and seeing the growth of IoT in healthcare ensures the challenges will be no issue in the future. IoT is a new term for many so let’s get into the detail to understand the term better. 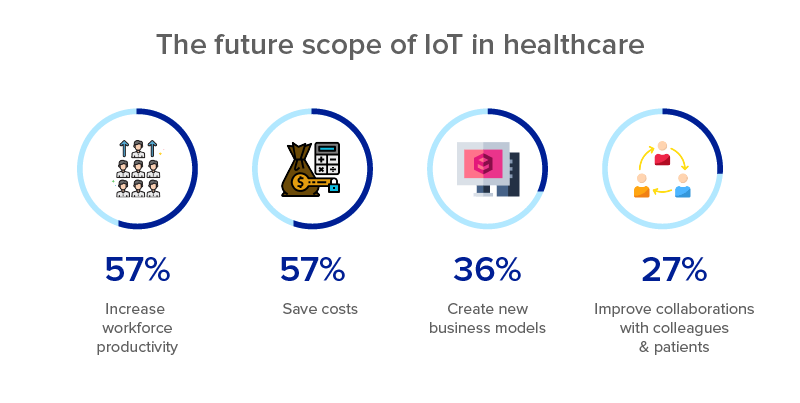 Where does IoT fit in healthcare? A lot of times it happens that patients don’t get medical attention on time which can harm their health severely. The delay is caused due to many reasons- unavailable rooms in the hospital, traffic on the road, unavailability of extra doctors, delay in the identification of diseases, etc. Most of the time, people have no idea that they are suffering from an illness. To identify any signs, a visit to the doctor is required. If heart rate checkups, blood pressure level, sugar level, etc. are regularly monitored then patients can be alarmed about any upcoming threats to their health. Also, sometimes going to the doctor for something as simple as stomach ache and paying a heavy fee is just not worth it. These could be easily solved if there was a way to connect doctors and patients virtually. Internet of Medical Things (IoMT) is a network of connected devices that collect data in real-time. IoMT is a healthcare application of IoT technology and has the potential to solve medical issues. IoMT market was $22.5 billion in 2016 and is expected to reach $72.02 billion in the year 2021. It will provide personalized care and individual data-driven medical solutions. Not only will IoMT be able to prevent any upcoming diseases but also will be able to cure the ones that have already been caused. The technology has been made as wearables so that patients can be monitored easily without visiting the doctor. Internet of Medical Things has divided segments for each medical issue being faced by the healthcare industry. The on-body segment focuses on customer health wearables and other medical grade wearables. Some products used in this segment are Fitbit, Samsung medical, etc. The in-home segment aims at an individual’s personal health tracker solutions. This segment includes personal emergency response system (PERS), telehealth virtual visits and remote patient monitoring (RPM). The community segment consists of five components: Kiosks that dispense products and provide services, mobility services to patients’ vehicles, emergency response intelligence, point-of-care devices that act like medical camps and logistics that keep a record of all the medical equipment and goods. Another segment is the in-clinic segment. This segment includes IoMT devices that can be used inside a clinic to provide services. The medical solutions of the in-clinic segment also provide point-of-care devices. The last segment of IoMT is the in-hospital segment which includes various solutions for several areas of management. Asset management monitors, personnel management, patient flow management, inventory management and environment and energy monitoring are some of the devices in this segment. What are the benefits of IoT in healthcare? IoT in healthcare is helping the way hospitals attend to the patients. 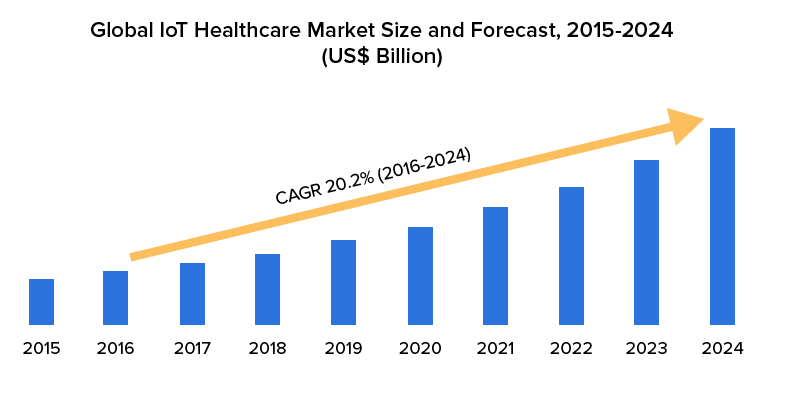 While the rapid population growth is not helping to control the increased illness, old age, and other health issues, the introduction of IoT in healthcare may do it. IoT can also reduce the cost of medical treatment to a great low. IoT in the healthcare industry has enabled doctors to monitor the real-time conditions of a patient which can prevent any emergency situations like heart failure, diabetes, asthma attack, cardiac arrest, etc. Role of IoT in healthcare has made it easy for doctors to attend to multiple patients in a matter of minutes. The medical reports of patients including blood sugar levels, ECG reports, X-rays, etc. are stored in the cloud and can be accessed with a mobile device whenever needed. 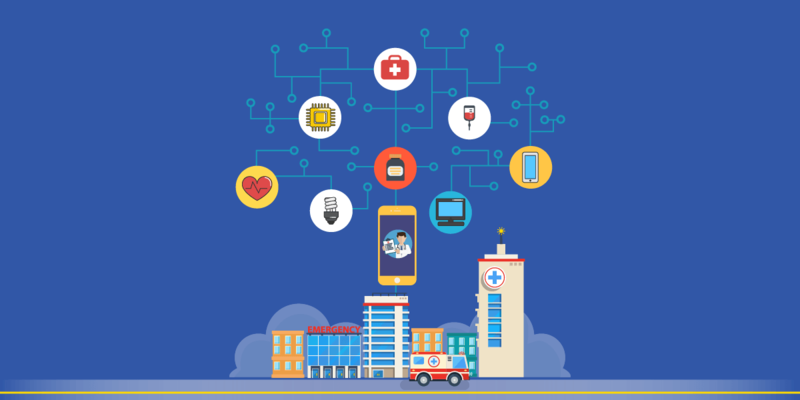 Internet of things in healthcare applications can allow a better connection and use of the latest technology to enhance the connectivity and data sharing. With technologies like Bluetooth, Wi-Fi, and other features, tracking and identifying illness becomes easy and less time-consuming. This also reduces the overall time and cost of treatment. With the technology, the cost of treatment will reduce by a huge sum, allowing patients to be treated easily. Use of IoT in healthcare involves storing massive data about the patient’s medical history. The IoT device also has to send data to other devices without any issues occurring in the process. Manually analyzing such huge data is impossible but devices can do it. IoT devices can gather, analyze, track, send and receive data with the help of a cloud base. The cloud base is required as the size of data is huge and cannot be saved on the server. Imagine how many lives can be saved with emergency alerts sent by patients. Internet of medical things has made this possible. With the help of a device, a patient’s medical information is recorded in real-time and can be sent to the doctor. In the case of any threat, the doctor will be informed immediately and can provide assistance accordingly. With the help of IoT healthcare devices, patients can easily contact doctors on their mobile devices and get immediate assistance. With the latest IoT devices, doctors can identify any ailments on the go all the while saving traveling cost and time. IoT in healthcare will also be able to dispense medicines from machines as per their prescription. This will be done by connecting the patient’s device with the medicine dispensing machine. Often a patient’s condition gets worse while waiting for things to be arranged or rooms to clear out in a hospital. With IoT in the healthcare industry, the waiting time can be reduced by more than 50%. When it comes to occupancy, IoT can track all the rooms and find the empty ones for the incoming patients who need immediate assistance. Every hospital has devices, machines, and equipment that are used to sustain human lives. Availability of these tools is necessary in order to save as many lives as possible. With IoT technology, hospitals can not only track the types of equipment but also be informed when a piece of equipment is about to fail. This helps the hospital in getting new devices before its too late. A hospital has huge buildings and it becomes impossible to track where each and every employee or doctor is at a particular moment. It is the same for all the patients as well. With IoT technology, tracking the patients and the staff is easy. This technology is also being used to track assets of the hospital for security reasons. 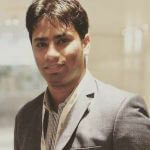 It is a highly efficient technology to track objects or people without any additional cost or efforts. Medicines are now being monitored by IoT devices to ensure the proper dosage and tracking the effects of the medicine. It can also remind patients to take their medicine on time and in the right amount. If there is an overdose or underdose of medicine then the patient will be alerted. Internet of things healthcare technology identifies any chronic illness a patient is suffering from. How that works is: a patient enters his symptoms and the device matches it with the already existing information to identify the disease. Wearable devices like Fitbit are great trackers of heart rate, sugar levels, and blood pressure levels. Healthcare app development for wearables and mobile apps has made people more health conscious and aware of their medical conditions. Though the IoT benefits in healthcare are many yet we cannot ignore the challenges it is facing. The biggest threat for healthcare in IoT is the data privacy and security. The massive data that is being transferred and stored on a regular basis can be hacked and used against the patient and the doctor. These hackers can also create fake IDs to buy drugs and medicines only to misuse them further. Everyone owns a different device and this difference in devices is causing problems with the performance of the technology. The internet of medical things has yet to find a solution regarding the compatibility of different devices with the IoT network. The connectivity of different devices slows down the entire process of data transfer, analysis, and retrieval. Storing patient data means storing an impossible amount of data. Even with the internet of healthy things, the huge amount of data is becoming difficult to manage by the doctors. If this continues then the decision making will be affected putting many lives in danger all at once. The more devices being connected to the network, more will be the inflow of data. It must be a surprise to see IoT cost in the challenges section. But the truth is IoT can reduce the treatment cost for a common man but hasn’t been able to do it yet. Internet of things and healthcare have yet to make things cost effective and it will take time. It has created the medical tourism situation where people travel to developing countries to get the treatment at a much cheaper cost. The cost of IoT app development is also higher than the usual cost of mobile app development. IoT has a lot of potentials and its not only in healthcare. Many IoT healthcare companies are working on new ways to use this technology to help our medical world. 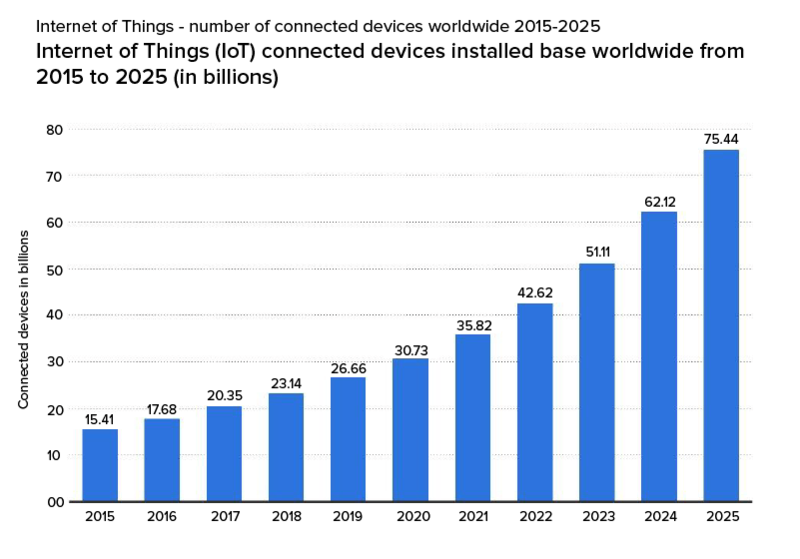 According to the IoT statistics, the IoT industry is expected to grow to $8.9 trillion in the year 2020. Even though IoT has challenges and limitations, it will not stop the technology from growing. The need for IoT in healthcare is huge and it can help the industry immensely. It can reach every patient from all over the world and connect doctors with patients. 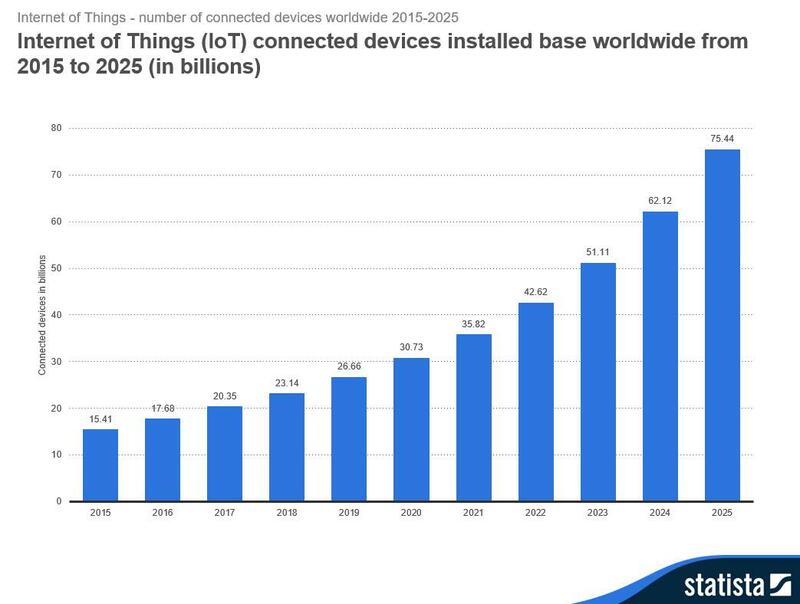 There is no denying that IoT has already made a huge impact and is only set to grow further. It is a matter of time when the medical industry will be run mostly by IoT technology and will be treating patients in less time and low cost of treatment. Google and Apple are companies trying to make IoT and healthcare success and soon we shall see iOS and Android devices interacting with our medicines. We at Appinventiv have IoT app developers that are ready to help you with your app idea. Contact us today! “Blockchain of Things - Two Disruptive Technologies in Alliance,�?